No news released at the moment. No registration at the moment. 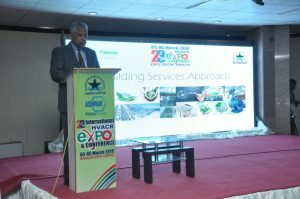 The 26th Int’l HVACR & Building Services Expo & Conference is scheduled from 13th to 15th Feb, 2019 at Karachi Expo Center. 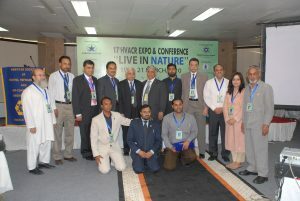 The Pakistan HVACR Society Karachi Chapter and ASHRAE Pakistan Chapter will Jointly organize this year’s event. 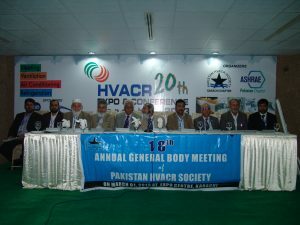 Annual Expo & Conference of Pakistan HVACR Society is the most important event on HVAC conducted annually on rotation basis between Islamabad, Lahore & Karachi and is the biggest event of its kind in the country. 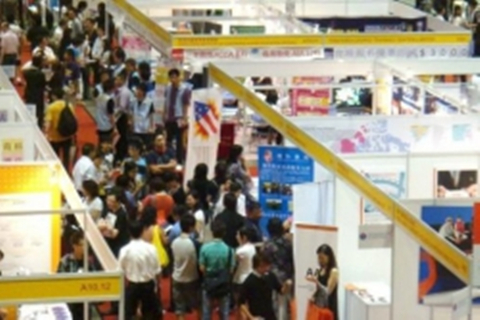 So far Society has successfully conducted 25 Annual Expos & Conferences. This largest ever HVACR Expo in the history of Pakistan HVACR Society is being held for the first time in all the 6 halls of the Karachi Expo Center and will set new trends to bring together national and international professionals and exhibitors. 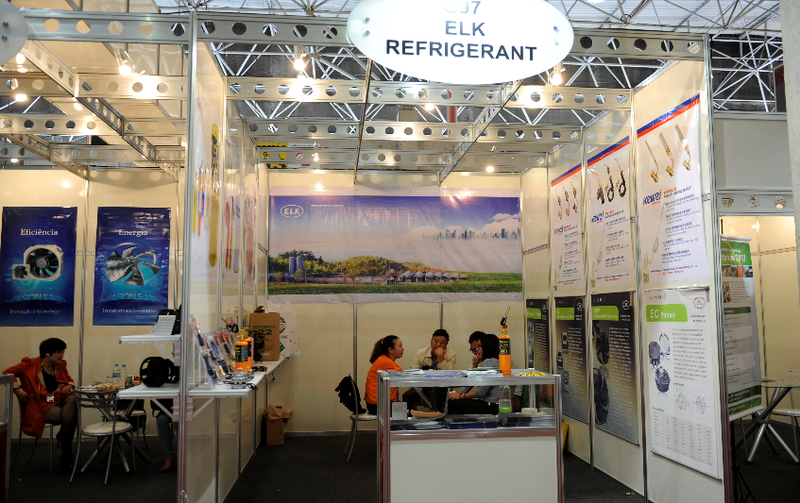 The event will display the latest technology and developments in HVACR sector in Pakistan and around the world. International Participation is expected from over 25 countries, including ASHRAE President and Regional officers. Karachi is the capital of the province Sindh of Pakistan. It is the most populous city of Pakistan, and fourth most populous city proper in the world. 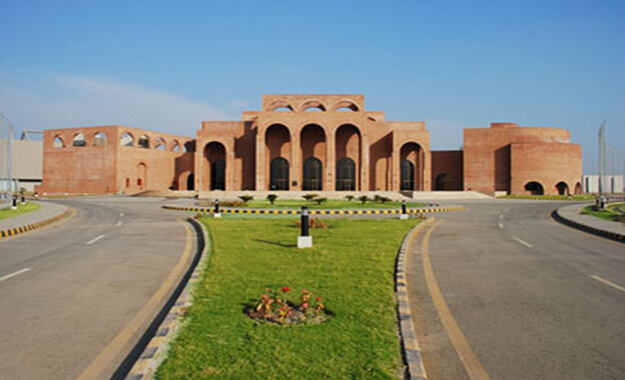 Ranked as a beta world city, the city is Pakistan’s premier industrial and financial center. Karachi is also Pakistan’s most cosmopolitan city. Situated on the Arabian Sea, Karachi serves as a transport hub, and is home to two of Pakistan’s largest seaports, the Port of Karachiand Port Bin Qasim, as well as the busiest airport in Pakistan. Though the Karachi region has been inhabited for millennia, the city was founded as the fortified village of Kolachi in 1729. The settlement drastically increased in importance with the arrival of British East India company in the mid 19th century, who not only embarked on major works to transform the city into a major seaport, but also connected it with their extensive railway network. By the time of the Partition of British India, the city was the largest in Sindh with an estimated population of 400,000. Following the independence of Pakistan, the city’s population increased dramatically with the arrival of hundreds of thousands of Muslim refugees from India. The city experienced rapid economic growth following independence, attracting immigrants from throughout Pakistan and South Asia. Karachi is one of Pakistan’s most secular and socially liberal cities. It is also the most linguistically, ethnically, and religiously diverse city in Pakistan. With an unofficial population of over 30 million Karachi ranks as one of the most populous cities of the world. Karachi is one of the world’s fastest growing cities, and has communities representing almost every ethnic group in Pakistan. Karachi is home to over 3.5 million Immigrants from Bangladesh, Afghanistan and Myanmar. Many new high rise buildings and Industrial complexes are coming up in and around Karachi which has propelled a huge Construction boom in the city. Many developers are constructing huge residential complexes and apartment buildings to cater to the fast growing urban population of Karachi. An entirely new city by the name of Bahria Town is being built on an area of more than 45,000 Acres, just off the Super Highway, the community will include the Grand Jamia Mosque, which will be the world’s third largest, and the Country’s largest Cricket Stadium. Once completed the city will accommodate over 1,000,000 people. Karachi is Pakistan’s premier industrial and financial center with an economy estimated to be worth over $200 billion. Karachi collects almost 50% of Pakistan’s tax revenue, and generates approximately 30% of Pakistan’s GDP. Approximately 30% of Pakistani industrial output is from Karachi, while Karachi’s ports handle approximately 95% of Pakistan’s foreign trade. 90% of the multinational corporations operating in Pakistan are headquartered in Karachi. Up to 70% of Karachi’s workforce is employed in the informal economy, which is typically not included in GDP calculations. Location： Shahwez Centre, F-8 Markaz, Islamabad.